Patriot Day Remembrance in Sebastian, Florida. 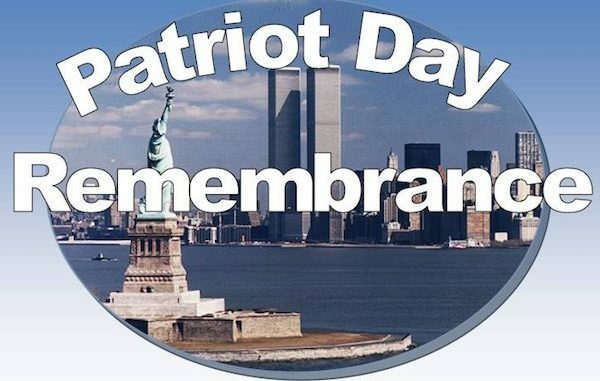 SEBASTIAN – Join the Sebastian Police Department for a Patriot Day Remembrance as they recognize local first responders and remember those who lost their lives on September 11th, 2001. This event will be September 11, 2018, 8:35 a.m. – 9:35 a.m. at Riverview Park, located at 600 U.S. Highway 1, on the corner of U.S. Highway 1 and C.R. 512 /Sebastian Boulevard. There will be several community leaders speaking, an honor guard detail, and patriotic music performed. Sponsors for this remembrance include the Veterans of Foreign Wars Post #10210, the American Legion Post #189, the Sebastian Police Department, and the City of Sebastian.